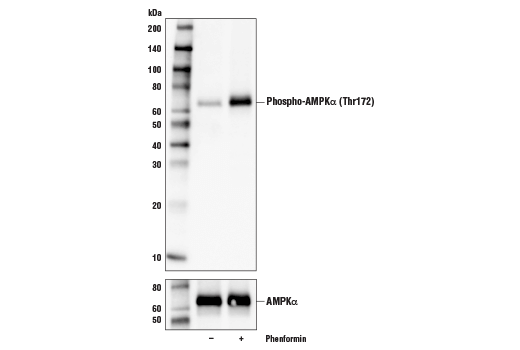 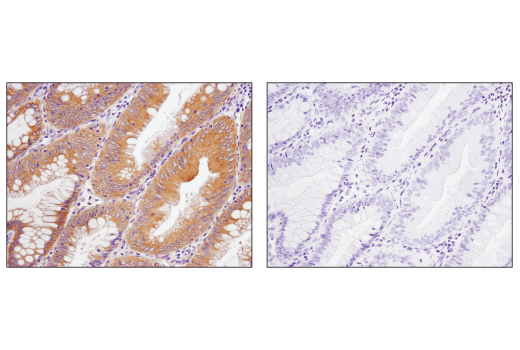 Phospho-AMPKα (Thr172) (D4D6D) Rabbit mAb detects endogenous AMPKα only when phosphorylated at threonine 172. 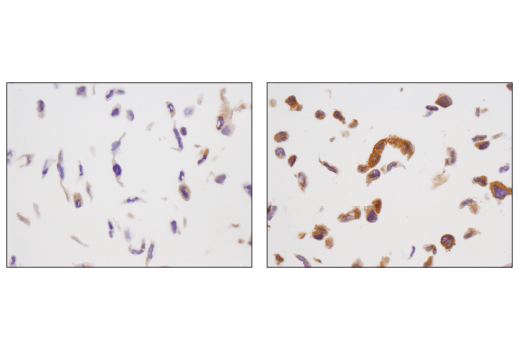 The antibody detects both α1 and α2 isoforms of the catalytic subunit, but does not detect the regulatory β or γ subunits. 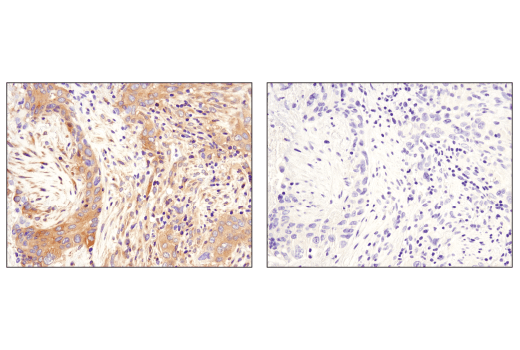 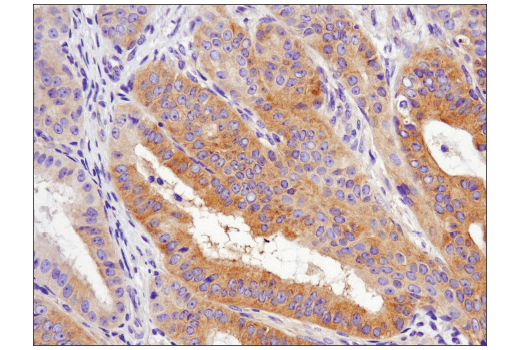 Monoclonal antibody is produced by immunizing animals with a synthetic peptide corresponding to residues surrounding Thr172 of human AMPKα protein.